On Sept. 27, nearly a month after school began, maze-like lines and familiar white tents sprung up in front of Richter Library as the farmers market returned in full swing. The farmer’s market is a university staple, something that many students and faculty look forward to every Wednesday. Not only does the market have fresh fruits, but it offers food from numerous cultures, such as Korean barbecue, Argentinian choripan and French crêpes. There are also trendy options, including açai bowls, coconut water and green juices. While its return elated the UM community, it was an even bigger relief for the vendors. The delay in opening the market, as well as the monster hurricane endured by the entire state, majorly impacted vendors’ sales – especially for those who rely on various farmers markets for income. Given their reliance on local consumers to sustain their businesses, vendors speculated that sales would be hurt by the damaging effects of Hurricane Irma. Kim Jin, farmers market vendor and owner of Korean Kitchen, said they are glad to have recovered and returned to campus. 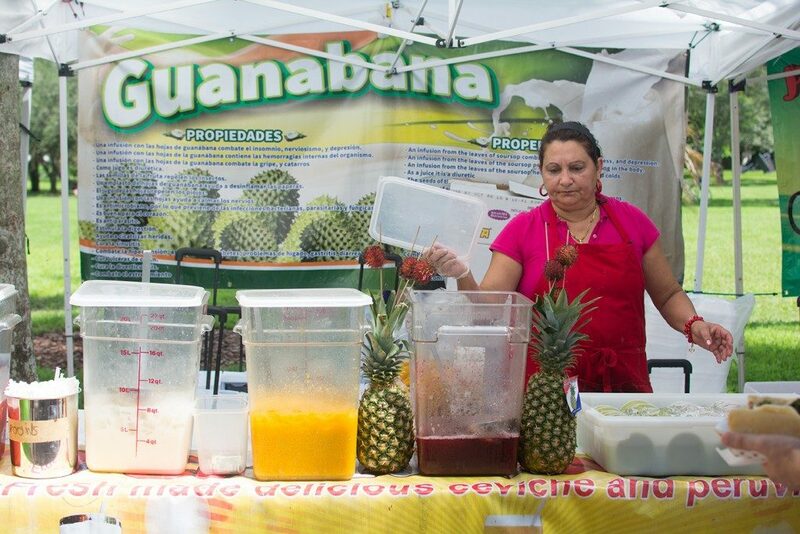 Freshman Nicole Perez said the market was a nice break from the dining hall and great exposure to a diverse array of foods from the Miami area, especially for students without cars. “It is really cool and convenient to be able to experience all these different foods right on campus,” Perez said. Experiencing the scale of the farmer’s market for the first time, freshman Leala Solomon expressed her surprise at the extent of all the market has to offer. The farmer’s market gives students the opportunity to taste sustainably sourced, local foods from all different cultures, and it reinforces the idea that healthy eating is available and accessible. The market comes to UM 9 a.m. to 3 p.m. every Wednesday while classes are in session.